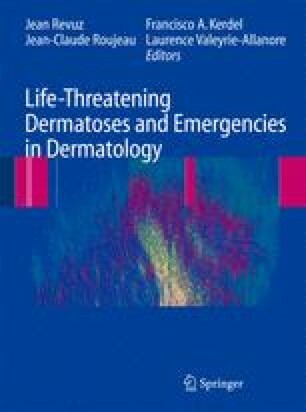 Skin and soft-tissue infections are the most common travel-associated dermatoses. Acute urticaria or localised inflammatory oedema with blood eosinophilia orients towards a helminthic infection. Febrile exanthema may be observed during systemic bacterial infections, arboviral diseases, haemorrhagic viral fever and drug adverse reactions. Environmental diseases may be related to arthropod-induced or marine life dermatitis and envenomations.